For those who have made the choice to eliminate all animal products from their diet, even milk and eggs, finding a vegan restaurant can be a challenge. Sure, plenty of "regular" restaurants offer a vegan dish or two, but the limited selection isn't all that exciting, especially when dining out is supposed to be a special experience. But leave it to NYC to have a variety of all-vegan restaurants that are animal-free and full of wholesome and wonderful veggie-based menu items. Even meat-eaters will be in awe of the variety and taste. Here are five that have fans flocking. Something delicious is blooming at both of Blossom's NYC restaurants – one in Chelsea and the other on the Upper West Side. Only fresh, organic ingredients from local farms are used to create healthy and flavorful dishes that vegans and non-vegans alike have been enjoying since 2005. Diners can't get enough of Blossom's tasty dishes like their Buffalo risotto croquettes, cashew cream ravioli, tofu BLT, and Moroccan tagine. A side of truffle mashed potatoes or garlic kale with butternut squash topped with slivered almonds rounds out the plate. Vegan "cheesecake," apple cobbler, or tiramisu with coconut mascarpone ends the meal with a sweet touch. If you're in the mood for pizza, be sure you hit up the UWS location for a wild mushroom, pesto, potato rosemary, or Margherita pie. What started as a health food store and juice bar has grown into one of Manhattan's Upper East Side's favorite vegan dining establishment, Candle 79. Plant-based, wholesome ingredients go into every dish, delighting diners with great taste that matches their Earth-friendly vegan lifestyle. Starters like pomegranate-BBQ seitan skewers, breadcrumb-crusted cauliflower, and hydrogen farm edamame set the stage for entrees including Candle 79's black bean pumpkinseed burger, spaghetti and "wheatballs," and pan-seared porcini seitan. Save room for their mouth-watering Mexican chocolate brownie, a vanilla-cinnamon crepe, or the chocolate chip cookie ice cream sandwich made with coconut ice cream. They even have a gluten-free menu available too! 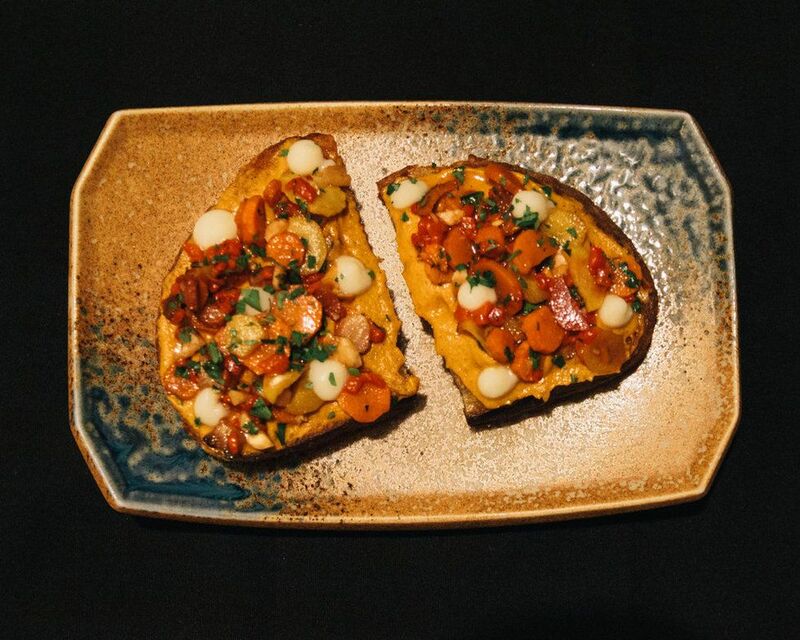 Upscale and utterly delicious, Avant Garden makes the most of vegan fare and allows diners to experience vegan cuisine as they've never tried it before. Their unique preparations and dedication to freshness makes each plate beautiful and bountiful. House made rigatoni with vodka sauce, confit garlic, olives, tofu, and ricotta is divine, and scorched cauliflower with toasted garlic, fried capers, and cauliflower puree is simple and sophisticated at the same time. The exposed brick walls of the restaurant and clean layout match the vegan sensibilities of the talented chef. One trip to Avant Garden and you'll see why this garden's popularity is growing. Described as "vegan soul food," Seasoned Vegan is a counter-serve destination that is hitting the spot for vegans who love eating organic, flavorful, and culturally-diverse cuisine. Owned and run by a mother-son duo, the restaurant is friendly and fresh, with dishes that are satisfying and well-seasoned. 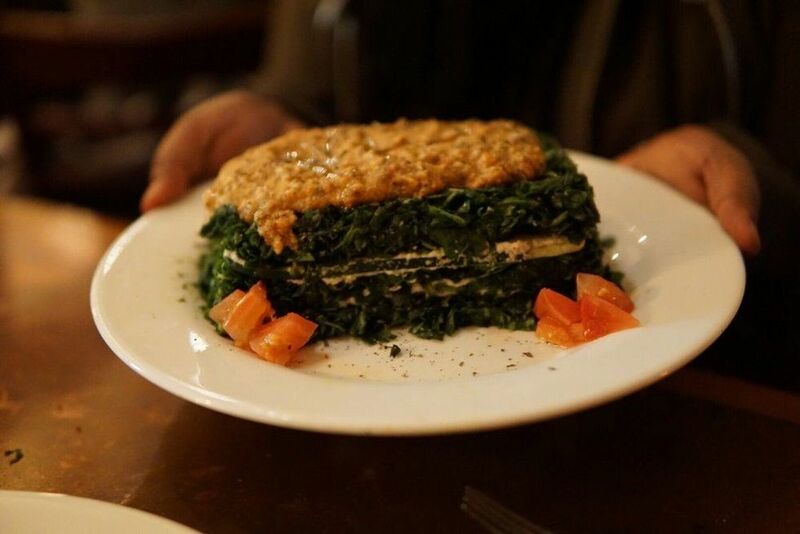 Some of Seasoned Vegan's signature dishes include lemon-crusted soy "chicken" nuggets, their pizza quesadilla, homemade hummus, BBQ soy "riblets," and raw zucchini mac covered in cashew "cheese." Ice-cold smoothies are a hit with fruity flavors like berry lemonade and pineapple blitz (pineapple, apple, and banana). Cupcakes and ice cream for dessert make customers smile. And for the late-night crowd, Seasoned Vegan is open 'till 2AM! 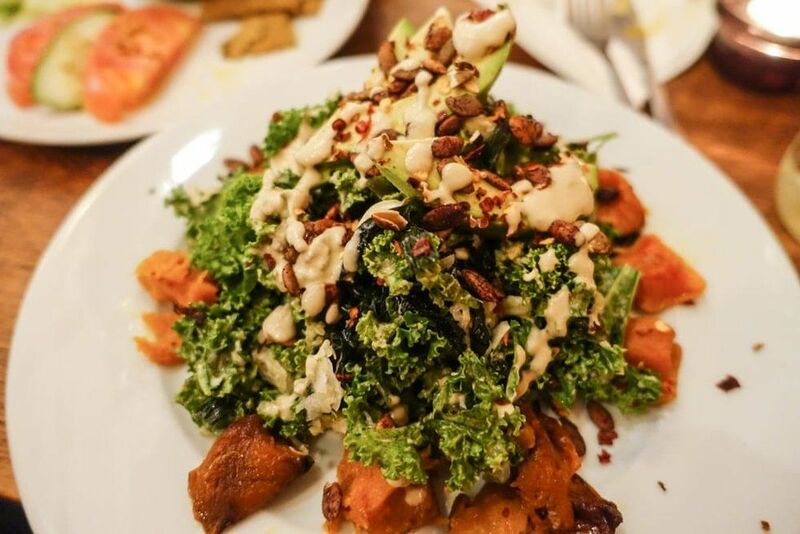 Vegans in Brooklyn and Manhattan can get their fix of fine vegan foods served up at Sun in Bloom. 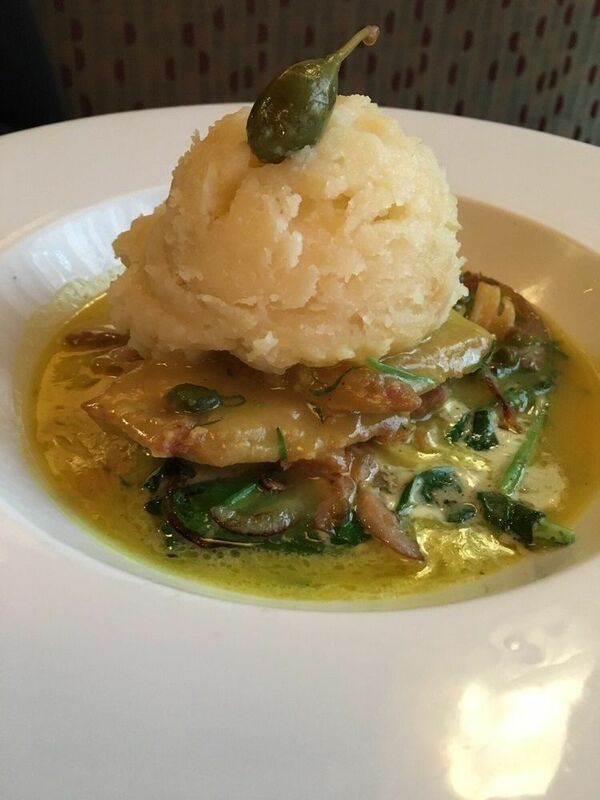 Plant-based, high-quality meals are prepared with care and love, bringing health and heartiness to diners who maintain a vegan or gluten-free diet. 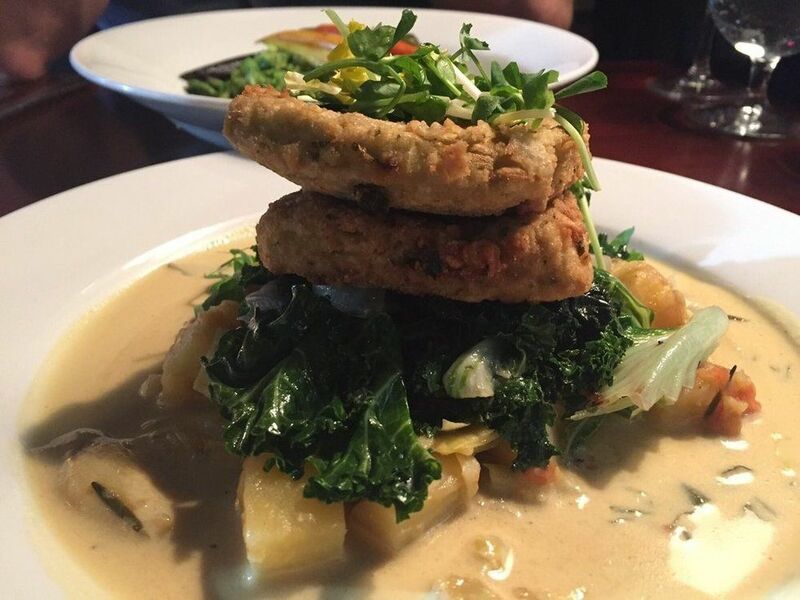 With menus for breakfast, brunch, lunch, and dinner, vegans can fill their bellies any time of day, with the goodness and great service that Sun in Bloom brings. The brunch tart (butternut squash, tofu, shitake, onions, garlic, and sage) is a hit with the weekend crowd, as is the "Orgasmic Granola Delight" (homemade live granola and coconut kefir with fresh bananas and berries). Add goji berries or chocolate chips for an even tastier temptation. Apps like chickpea miso soup, avocado toast, and kale chips with sesame ginger please the palate, and entrees including Sun in Bloom's shiitake lentil burger with cashew cilantro lime crème, and lightly roasted vegetable lasagna with ricotta cashew basil pesto cheese and marinara sauce is filling and fabulous. Stop in to Sun in Bloom and you will see why it's hot with the vegan crowd! Vegan eating has never been more accessible. NYC is the place to be for veggie-focused fare.